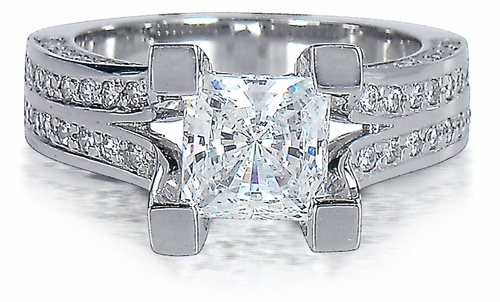 The Kendall Princess Cut Cubic Zirconia Pave Solitaire Engagement Ring features a diamond look 1.5 carat 7mm princess cut square that is prong set in a grand fashion. 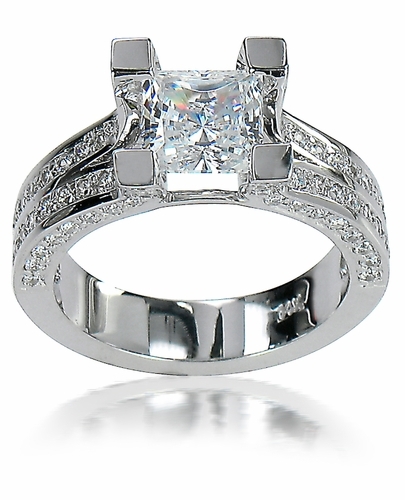 This solitaire engagement ring features a shank that flows up and splits into four prongs to reveal the stunning 1.5 carat princess cut square man made lab created diamond quality cubic zirconia. 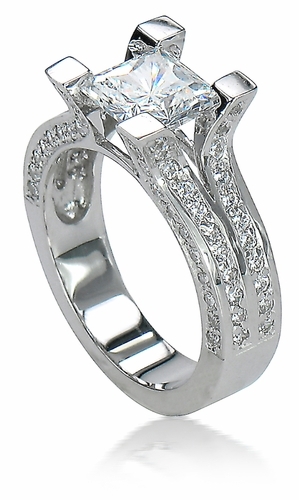 Additional micro pave prong set round cubic zirocnia stones line the vertical and horizontal sides of the shank up to the top of all four prongs. 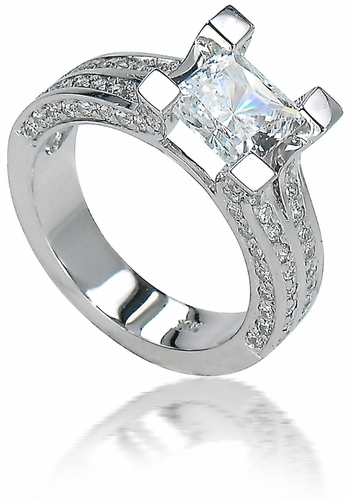 The band on this ring measures approximately 5mm at its widest point and includes over 3.25 carats in total carat weight of the finest diamond simulants available. The Kendall solitaire ring is shown here in 14k white gold but you can order it in 14k yellow gold, 18k gold or Platinum via special order. 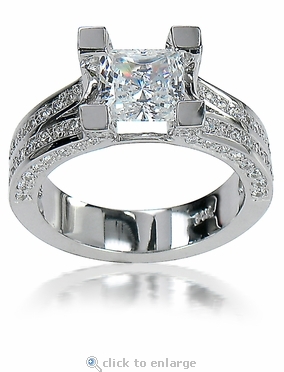 Call us or live chat with one of our cubic zirconia jewelry experts to get a quote or to answer any questions you may have.